Pretty, pale blue or blue-violet flowers from April to September and lance-shaped, dark green leaves. This pretty, prostrate, evergreen shrub is excellent groundcover for the smaller garden. 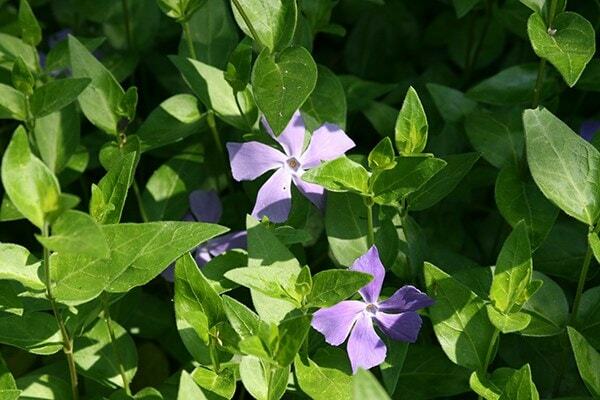 One of our recommended plants, it's less invasive than Vinca major and grows in any well-drained soil in sun or partial shade.